This book is revised and anglicised from an Augsburg Habilitationsschrift. 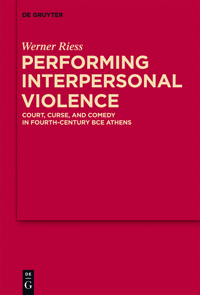 In it Riess studies violence in Athens in the "long fourth century" from Antiphon and Aristophanes to Menander, and its treatment in lawcourt speeches, curse tablets and old and new comedy. His interest is in the kinds of violence which were considered problematic, i.e. kinds of violence inflicted on citizens; violence against other categories was considered unremarkable. 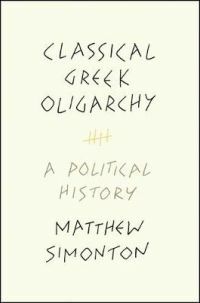 The three genres which he investigates, and in which he detects the same "violence discourse", were all in their different ways performative and ritualised, and there was a two-way impact between these and the citizens' daily lives, which he thinks helped to control the use of violence and to keep democratic Athens stable. Lawcourt speeches form the first of Riess' three areas of investigation. Certain kinds of violence were intelligible and normal, and various distinctions were used to make an act of violence more or less acceptable: self-defence or striking the first blow; acting in public or in secret, by day or by night; acting when sober or when drunk, and when old or when young (but those were open to different interpretations); to protect or to invade an oikos; to maintain public order or to disturb the performance of a public duty; to pervert religious customs, or gender or status; acting through official channels or directly; to calm or to exacerbate a conflict. In his speech a litigant would place himself on the right side and his opponent on the wrong side of the line. He would accuse his opponent of selfishness, unrestrained anger, hybris, or behaving like a tyrant or a barbarian; while he himself had displayed the democratic virtues of restraint. Riess sympathises with those who see the judicial system as just one arena among many in which Athenians pursued their quarrels, seeking victory rather than justice, and he sympathises also with those who think that quarrels and violence were frequent in Athenian society rather than with those who see it as exceptionally peaceable. He also thinks that it was largely the élite who had recourse to the lawcourts - but for the courts to have been as busy as we know they were the use of lawsuits must in fact have been far more widespread than that. 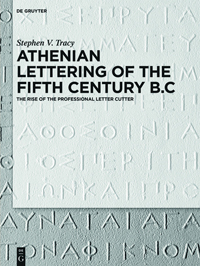 Next Riess looks at curse tablets, used widely in Athens from the late fifth century, particularly in connection with legal disputes but also in competitive and business contexts. They complemented court cases (or, Riess thinks, in accordance with his view that lower-class citizens rarely took their disputes to court) served as a cheaper and less daunting substitute for them. In "binding" the victims they consigned them to the chthonic deities, with a more violent intention than is often recognised. Pushing problematic emotions into the realm of magic was a way of controlling anger, and violence mediated through magic, like violence inflicted as a result of a judicial verdict, was violence of a permissible kind. Finally Riess examines violence in old and new comedy. Old comedy presented violence on the stage, but kept a safe distance between stage action and real life. Anger might be justifiable or unjustifiable; hybris had the same connotations in comedy as elsewhere; slapstick was never merely vulgar but questioned the boundaries established in real life. Wasps, Birds and Clouds are studed in detail, and Riess concludes that Aristophanic violence is exaggerated and perverted democratic energy. But, while Aristophanes' realm is the polis, Menander's realm is the oikos, and for him anger and violence are not ambiguous but always unjustified. With his human-scale characters and plays appealing to the hellenistic oikoumene Menander taught that self-control was better than anger, and Riess sees this as echoing the changed discourse of Athens after the oligarchic revolutions of the late fifth century. Riess begins his Conclusions with a chronological summary in which he emphasises his view that there was an increasing stress on self-control in the fourth century. He propounds "three theses on Athenian violence": that we hear of violence only when high-ranking victims suffered it within a sphere normally protected against it; that actions were labelled violent only when considered problematic; and that such violence required an audience both for its perpetration and for its negotiation afterwards. Ritualised discussion in court and theatre helped to control the violence and make Athens stable. And, despite his view that Athens was violent rather than peaceable, he claims that Athens was nevertheless more peaceable than other states in classical Greece - though I am not sure that it follows from Athens' exceptional political stability in the fourth century that it was also more peaceable in the conduct of its individual inhabitants towards one another. The book is based on very thorough reading: its bibliography runs to forty-three pages. It tries to negotiate a route between traditional explication of texts and anthropological analyses of society. Not everybody will be happy with Riess' overall picture of fourth-century Athens, but even for those who are not there is much to interest and stimulate in the detailed presentation of his case.